A great feature story about us in the Montgomery County Gazette! 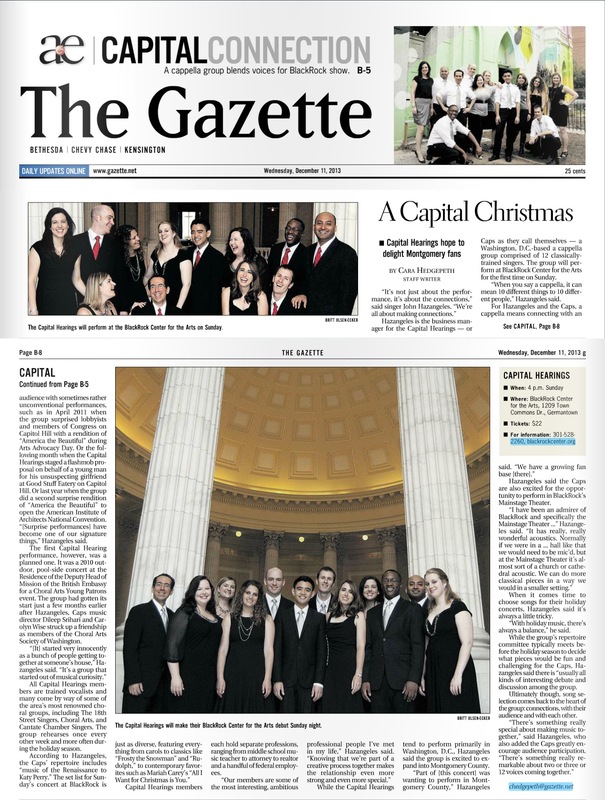 “All Capital Hearings members are trained vocalists and many come by way of some of the area’s most renowned choral groups, including The 18th Street Singers, Choral Arts, and Cantate Chamber Singers. The group rehearses once every other week and more often during the holiday season. Story available online here and print edition here.